For most of us, our mortgage payment is the most important payment each month, and having a great credit score is ideal. But do mortgages show on credit report , and if not, why isn’t it being reported? There are a few possible reasons that will have you suspecting your mortgage may not be showing on your credit report, even if the reason is as small as an error in your legal name. That seemingly small error falls into the category of what is called a “clerical error”, a mistake on the lenders part. Possibly even an error in your social security number has happened. 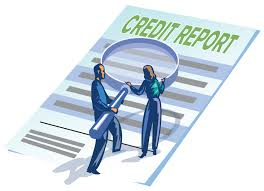 This can lead to the credit bureau potentially not knowing the mortgage belongs on your credit report. So if asking “do mortgages show on credit report”, the answer is that mortgages should be shown on your report and if not, it is important to have taken care of. If it is not taken care of, it can affect you in getting future loans. You can request the mortgage company to start reporting your mortgage loans to the credit bureau if you think this might be happening and it is required they respond in 30 days. The solution to this is easier than certain situations that may be causing your mortgage to not show on your credit report. Do mortgages show on credit report? In order to fix the problem of not having a spouses name on the mortgage, the mortgage must be refinanced into having both names on the loan. This ends up costly and time-consuming. Since your loan is being refinanced, there will be a delay of anywhere between 30 and 60 days in processing time before your new mortgage will be seen by the credit bureau. If you have filed for bankruptcy and leave the debt not reinstated in bankruptcy court, it is not required for your mortgage to get reported to the credit bureau. The only way of getting back and gaining credit from your mortgage if this happens is by re-opening the bankruptcy case to file a reaffirmation agreement. Another possibility if you are worried about your mortgage showing on your credit report, is if you have a foreign mortgage. Mortgages out of country being reported to the credit bureau depend on the company the mortgage is from and the size of the bank. If the bank or lender is a smaller company, they may not report it due to additional fees to the bank charged by the bureau. In recap, if your one left wondering do mortgages show on credit report because of a clerical error, bankruptcy, small or large lending company errors, or just have the wrong name on your mortgage loan by using somebody with a better credit score, just remember that there is a way to correct any of these problems. Some may be costly, but as said before, mortgage payments are usually the biggest and most important and should be on your credit report.